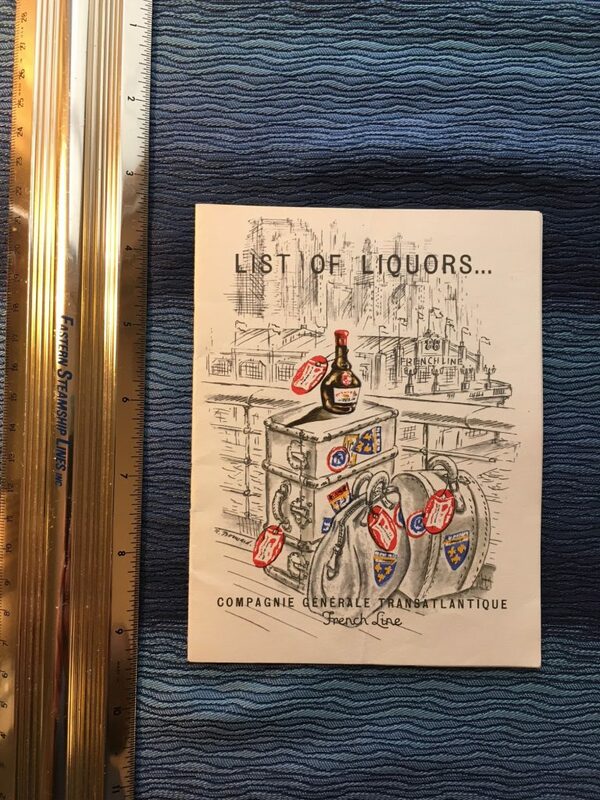 Graphically Superb Liquor list for the French Lines dated November 1956. the cover shows luggage (covered in baggage Stickers and tags) sitting on deck as the ship backs out of the French line Pier 88 in NYC. This does have a vertical crease ... but this does not seem to detract. I almost kept this for myself ... but it belongs in the hands of a devout French Line Collector.